connections. Otherwise, use all composite video connections. 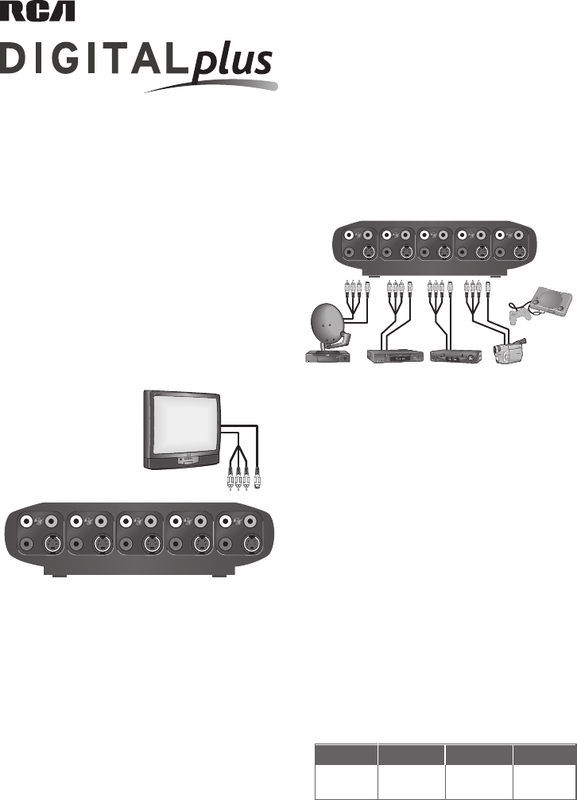 converters, DVD players and gaming consoles) on a single set of TV inputs. Note which component you connect to each input. 1. Make the video connection. 2. Make the audio connection. red and white with white. jack on the switcher&apos;s back panel. the IN1 AUDIO jacks on the switcher&apos;s back panel. with red and white with white. your other input components on IN2, IN3 and IN4.